2. Hot Lunch is Friday, April 26. Orders can be placed thru The Lunch Lady website. 3. 2019/2020 PTL Executive Positions: The PTL Executive is putting out a call for the following available positions for the 2019/2020 school year: President, Vice-President, and Middle School Member At Large (MAL). If you are interested, please contact any Executive member or email [email protected] for more details. The membership will vote on the new Executive at the May meeting. A job description will be made available upon request. First please look through your books at home (ask friends and neighbours) and find any gently used books that are not needed anymore and bring them into either grade 2 class (rooms 202 and 203) by May 2. Second, please come out and support our grade 2 student by stopping by and purchasing some books. The students will be busy until that date, sorting, pricing, and practicing how to collect and give change. Spring Km Club is off to a great start! We currently have 132 students registered and the club is open to anyone else who would like to participate. Kudos to Mr. Mayer’s class – they have the highest participation of all classes so far. Thank you to all the parents who have signed up to volunteer – you are making a difference in the life of each child involved. A reminder to all those participating to wear running shoes and bring a water bottle. We still have some gaps to be filled during the Weds & Friday lunchtime runs later in the month. Please view the signup link and assist wherever you can. The success of this club depends on its volunteers. The Alicia Lahm Friendship Basketball tournaments are this week. Grade 4’s will be at Assumption on Tuesday, April 9 and Grade 3’s will be playing on Thursday, April 11. If you have misplaced your info letter about the tournament, you can view it here. PLEASE NOTE THE TIME CHANGE: We will leave HLCS to walk to Assumption at 10:30 am. Our first game starts at 11:30 am; we must be ready to play by 11:15 am. We are excited to welcome Rocks and Rings to our school on Thursday and Friday. All classes will participate in one 40 minute curling lesson over the course of the two days. You can find out more information about this program on the Rocks and Rings website: http://rocksandrings.com/ Please contact Mrs. Olding ([email protected]) with any questions or concerns. 1)There are 4 EXTRA Beauty & the Beast t-shirts available for $10 each if any of the musical cast is interested. Please email Tina Goetz if you are interested, [email protected]. 2) Beauty & the Beast T-shirts HAVE ARRIVED! For those that pre-ordered a t-shirt for someone in the Musical Cast, it will be handed out on Wednesday and Friday (April 10th & 12th) this week before the afternoon practices. Teachers will be finishing painting the pieces of the Beauty and The Beast set after school on Monday April 15. We are calling on parent volunteers to join us to help paint. The Pizza and Froyo sale was a huge success last Friday! So much so, that we ran out of froyo, even on a rainy day! We were able to cover the additional costs towards t-shirts for the Beauty & the Beast Musical Cast as well as contribute about $150 towards props and costumes. Join us this Saturday, April 13, for Junior Youth (grades 5-8) from 6:30 – 8:30pm! All grade 4 & 5 students will participate in an in-school track meet at Percy Perry Stadium on May 16. Selected students will attend an inter-school Christian Elementary School Sports (CESS) track meet at Swangard Stadium (in Burnaby) on May 28. Parent volunteers will be required to make both of these events a success. More information will follow. Students who are not able to attend the practice should go through the route on their own time. Just in! We added a couple new and exciting items on the Menu this coming April and June Hot Lunch Day. If you haven’t placed your order log on and check it out. If you already placed your order, not too worry! Just log on and update your order. Stay tuned for our volunteer sign up link coming next week! We need your help for our upcoming Hot Lunch Day, April 26! Parent volunteers are needed from 11:50 am – 12: 30 pm, for each classroom, to help distribute food. 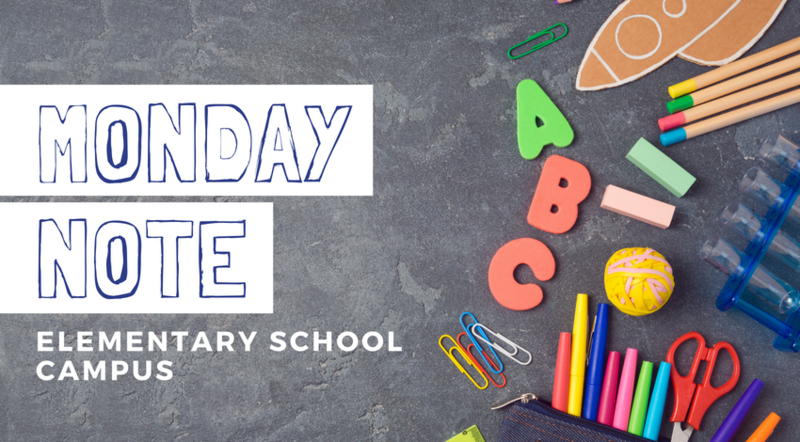 Please note that younger grades (K – gr. 3) are where we need the most help. Hope Lutheran Church will be participating in Port Coquitlam’s City Wide Garage Sale on Saturday, April 27, 10:00 am – 2:00 pm. If you are interested in renting a space/table or have any questions, please contact Jean Gettle ([email protected]) or Eric Bowerbank ([email protected]). Proceeds from this event, through the church, will be going to the Klemtu Mission Boat team from Hope Lutheran Church.